We’re in the final countdown, people. If you have a college-bound kid who graduated from high school this spring, chances are excellent they’re leaving home in the next month or so. You’ve researched, you’ve shopped, you’ve tried to figure out everything they’ll need, and you hope you’re ready. This year—as my family approaches our second round through this particular gauntlet in as many years—I’ve got a new piece of Indispensable College Prep in my arsenal, thanks to a summer program my son is currently attending at his soon-to-be college home. Now, let me back up a second. I think the following is applicable to every new college student, but for context, I’m happy to tell you a little bit about my particular teenagers in case you are new here and/or lest you assume they are either especially deficient or exceptionally amazing (I can assure you, despite my fondness for them both, they are neither). On the one hand, both of my teens are non-neurotypical and struggle with what often seems like more than their fair share of challenges, including learning disabilities. On the other hand, both of my teens were high-performers in high school, thanks to a combination of raw talent, hard work, IEP Plans, and lots of support. Both kids graduated at the tops of their classes; both kids were accepted to their desired colleges on academic scholarships. So far, it sounds like we had nothing to fear when it came time for college, right? Welllllll… when my oldest headed off last year, we knew her particular set of issues meant her adjustment might be rockier than for a “regular” college freshman. We tried to focus on the areas where we assumed she would be weakest, with some successes (and yes, some no-way-we-could’ve-prepared-for-that failures). We all learned a ton, and my daughter’s growth in the last year still astonishes me. Given what we witnessed with her, and given my son’s own set of issues, when it came time to start figuring out his last summer before college, he opted for a “boot camp” type program at his university. We agreed it was a great choice. He’s almost done with the program, now, and it’s been a rollercoaster of triumphs and struggles, which was exactly what I think he needed before he embarks on his college career. When it was finished, he leaned even closer to the microphone than he’d been during his pre-video remarks. “The students here are alllllllllll iguanas,” he said. A nervous ripple of giggles spread through the audience. Change is hard even when you want it, and it can feel like a lonely attack. Even the student who believes they’re 100% ready to take on college can and will have adjustment issue of one kind or another, and once one thing goes wrong, Murphy’s Law suggests a cascade of additional issues aren’t far behind. And even if they have friends and frequent contact with home—heck, even if they have normally unshakeable confidence—fear loves to whisper lies to the struggling. Coming here was a mistake, I’ll never recover from this, I don’t belong here, I can’t do it, I’m a disappointment, I can’t get ahead. We addressed all of this with my daughter before she left last year, and when the lows hit over and over (right on schedule! ), I often felt like I was “making with the many words” of reassurance while she tuned out. As my son has struggled this summer, this video gave us a unique and succinct code: Get up, dude. You’re the iguana. Keep going. Most high school students graduate having no idea how to study. Yes, even the kids with great grades. This is less applicable to kids who go to very rigorous high schools, but I don’t know a single student who didn’t comment either during or after their freshman year of college that they didn’t figure out how to study “the right way” (read: in a manner both thorough and efficient which is sustainable) until they had a few collegiate stumbles under their belt. I feel confident telling you that neither of my kids had any idea how to study at a collegiate level when they arrived at college, and that includes my youngest, who dual-enrolled at our local flagship university his senior year. “Learning to learn” is a phrase we use a lot around here. Sure, we warned them that there would be a “learning curve.” That’s too soft. We should’ve told them that said curve would feel like a horde of hungry snakes. Life isn’t fair, and they think they already know that, but they don’t. It’s not until the first time they do everything they were supposed to and get a lousy exam grade, anyway (and maybe the professor announces a class average of 40 with a little too much glee…), that most college students have to come to grips with what they’re made of and what they want. The difficult (and somewhat nonsensical, but that’s a different story…) grading feedback in my son’s summer program was addressed repeatedly during orientation, with parents arguing that “it sounds like you’re setting them up for failure” and program staff replying that no, they’re setting the kids up for resilience. At the end of the day, any given grade matters a lot less than how your student responds to it, right? Snakes happen. Once the iguana figures out he’s outnumbered, does he go, “Well heck, that’s not fair, and I can’t possibly win, so I’ll lay down and die, I guess!”? He keeps running. The iguana can’t control the snakes. He can only control himself. Every indignant phone call about a perceived unfair failure has been met with a short period of listening and reflection (“I can hear you’re really frustrated and upset that you worked so hard and your grade doesn’t reflect that”) and a shift to a forward-moving mindset (“So what can you do now? How are you going to use this assignment to help you learn more/change your approach/build on for next time?”). 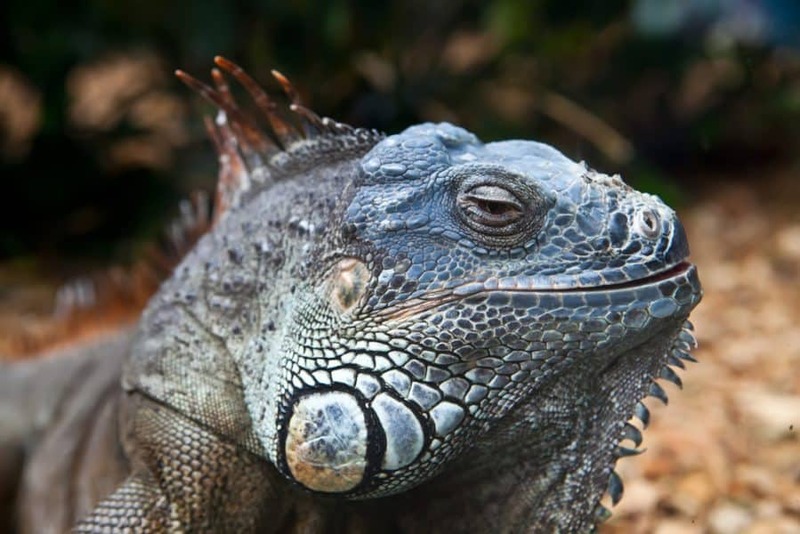 No matter what it is, the conclusion is the same: You’re the iguana, and you can choose to keep going no matter how bleak it looks right now. Show your incoming freshmen this video. Tell them to remember that no amount of snakes in their path mean they can’t keep going. It’s not the smartest kids who succeed at college—it’s the most resilient. Everything is a learning experience, if they’re open to it. I don’t think it’s an accident that at the end of the video, the iguana is way up at the zenith of the rocks. Think he would’ve gotten there just meandering around, if there hadn’t been any snakes…?